Business Auto Coverage is comprised of the some of the same parts as Personal Auto with a few exceptions. Business Auto can be vehicles used by businesses for salespersons or other day to day activity –or- can be vehicles used in daily business such as delivery trucks or service vehicles. Traditionally, Business Auto or Commercial Auto carries much higher limits than a personal automobile policy. In many of these policies, you will see combined limits that be anywhere from $300,000 CSL to $1,000,000 CSL. Coverages in these policies are combined for a total amount due to the nature of the policy. Optional Coverages available include but are not limited to loss of use, expanded towing, or hired/non-owned which is coverage if your business uses a vehicle that it does not own, i.e. : An employee running an errand for your business in his/her own private vehicle. Personal Auto Policies usually do not cover business operations therefore; your hired/non-owned coverages could cover the loss. Property Damage: Damage to your building or business personal property caused by a covered loss. General Liability: Coverages that include Personal & Advertising Injury, Bodily Injury & Medical Payments, and damage to the property of others. Business Income: Lost income to due business interruption. Inland Marine: Coverage to repair or replace business property damaged while in transport or at the jobsite. Oftentimes, coverage would include theft for machinery and/or tools. Professional Liability: Specialty coverages that protects professionals against claims arising out of business or professional practices such as negligence, malpractice, or misrepresentation. Employment Practices: Coverages that cover including but not limited to wrongful termination, sexual harassment, discrimination, invasion of privacy, breach of contract, or wage and hour law violations. This coverage is usually can sometimes be an extension of professional liability. General Liability Policies can be purchased as Monoline (stand-alone) Coverage or can be packaged with other coverages to create a Special Package Policy. GL protects a company and it’s employees from many types of incidents arising from an insured’s negligence or acts of omission during the performance of his/her duties or business. Some of the coverages this type of policy can offer are bodily injury, property damage, products/completed services liability, contractual liability, or even liquor liability or more depending on the coverage you opt to purchase. Inland Marine Coverage can be purchased Monoline or as part of a package to cover business property in use while you work off-site. Oftentimes, a businessowner’s policy may not include the coverage. This could potentially put your business at risk of a loss. Types of items that could be listed on your Inland Marine Policy include Contractor’s Tool & Equipment, excavators and large equipment, and even computers or electronic equipment. Cyber Liability is coverage purchased to help protect your business against risks caused by conducting business over the internet, over other networks, or by using electronic storage technology. Every day businesses such as yours are increasingly exposed to individuals and groups looking to steal personal information about yours and/or your customers and clients. There are many ways for these types of people to compromise your secure and private information. Any company that stores private customer data (email, credit card data, or other files) could be victimized and benefit from a First-Party Cyber Liability Policy. First Party Coverage: First Party Coverage is typically the coverage needed most by non-IT firms and is likely to adequately cover risk many businesses may face. Coverage is purchased to protect against a data-breach or similar event. If a business has a first part claim, it could include funds for notifying clients that their information has been compromised or exposed. It could also include paying a cyber extortionist who hold data hostage or threatens an attack. Third Party Coverage: Third Party Coverage is typically coverage needed for people and/or businesses whose systems or protocols “allowed” a data breach to occur. 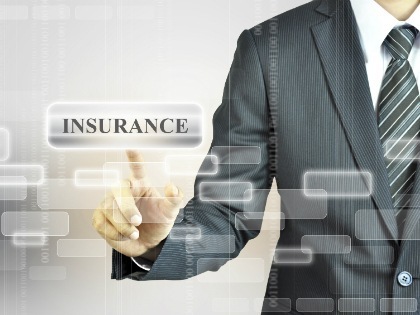 It is imperative to question what type of business you own and operate and assess which coverage you may need. If you have any questions regarding this coverage, please contact one of our professionals today. Cyber Liability is relatively new but is a growing market due to the volume of Ransomware Attacks, data breaches, and systems compromised each year. Commercial Property coverage helps to protect a building that your business owns or leases as well as business personal property, inventory, or furniture. These policies are used frequently for individuals or companies who need a Lessor’s Risk (for commercial rental properties) Policy. Most always, Commercial Property Policies can be issued as Monoline policies or as package policies that can be tailored to include additional protection for valuable documents and/or records, or other business operations that would be suspended by a covered loss. If you own commercial property, call an agent today to discuss the coverages you currently have or may need. Accidents Happen. When they happen in the workplace, Workers Compensation provides coverage. All employers are legally obligated to take reasonable care to assure that their workplaces are safe. Nevertheless, things still sometimes happen. Workers Compensation insurance ensures that injured workers get adequate medical care as well as compensation for a portion of their income that is lost due to their inability to return to work. Workers Compensation can also protect employers from lawsuits from employees injured while working. In Georgia, if you employ three or more employees, including owners or officers, you must carry Workers Compensation coverage. Rates are determined by the type of work your employees perform and is usually calculated at a particular rate per $100 in payroll. A roofer’s rate will obviously be higher than an office clerk. Innovative Risk Services has standard companies that will take most risks but also access to markets for hard to place business. A wedding is an investment, and as the average cost of weddings rises, estimated at up to $30,000 (according to weddingstats.org; 2015), wedding insurance is needed more than ever. After all, you wouldn’t buy a new car that costs that much without insuring it against damage would you? Additionally, most venues require that you carry liability coverage and even liquor liability if alcoholic beverages will be served. Contact us today for a quote!